As he is told about having a brain tumour removed, he is shown a photograph of a blood-spattered body of a woman. A woman he recognises as his ex-fiance Genevieve. However, if that wasn’t quite enough, he is then accused of her murder. Although he can remember nothing Drew is convinced he is not to blame. However, the evidence is stacked against him. He suffered his brain hemorrhage at the scene of the crime and was found beside the body, his prints all over the murder weapon. Drew is convicted, but is freed on the grounds that he had no control over his actions due to his brain tumour. It is still not enough for Drew, who accepts that maybe he did commit murder, but is not totally convinced and wants to be clear that there is no way anyone else could have been responsible. There are some sick, twisted people in LA and if Drew is to clear his name he needs to find out who framed him for the murder. It soon becomes apparent that Drew is being watched. Someone is toying with him and just as he begins to realise this, another body is found, and once again Drew finds himself a suspect in a murder case. Even though he provides what he hopes will be accepted as an alibi, he remains a suspect. I was quickly drawn into this book as it begins with Drew waking up in hospital being told he has murdered his ex – fiance. I do like to be hooked from the first page and this was certainly the case here. A few pages in, the pace of the book slows down as Drew returns home and is trying to piece together his thoughts and coming up with very little. The book is written in the first person, from Drew’s point of view and Hurwitz does a great job with Drew’s state of mind. The frustration at not being able to remember and feeling certain that he did not murder Genevieve comes across very well. As other things begin to happen following his return home, Drew begins to question his own sanity. The way Hurwitz puts this across makes for great reading. I enjoyed Drew’s character. He is interesting and a character the reader will find it easy to warm to. Right away, I found myself believing that Drew did not murder his ex and someone else was indeed responsible. We are also introduced to some of Drew’s friends and editor. All are well-developed, at times slightly too much so in my opinion. Whilst it is important to develop the other characters, I did feel at times that there were some descriptive elements which could have been left out. I am not one for reading a lot about a character’s life if it is not necessary and just feel that Hurwitz wrote a little more than necessary at times which was making me want to skim the page to get to a more interesting part. Junior Delgado, a young graffiti artist who lives in a residential home and always in bother for spray painting is a great character. The rapport between him and Drew was really good and made for interesting and at times amusing reading. The same can be said for Drew’s friend Chic, a onetime baseball star. These characters inject a little warmth and humour into this tense thriller which creates a nice diversion, but is also essential to the story. The LAPD officers seem a little cliched. Sarcastic and disbelieving, at times a little irritating, but maybe this is how it really is. There are a few characters in the book who work in the various police and homicide departments who Drew used to call upon for help when writing novels. He tries to enlist their help to try and prove his innocence, but finds that for the most part, they can’t or won’t assist him anymore. Instead he has to resort to some unorthodox measures to find answers. It was interesting to read how Drew finds out who his real friends are and also how people react to him following his conviction. I found myself hoping he would prove everyone wrong. I think the sometimes lengthy character descriptions are just Hurwitz’ style as I recall it was the same in the other novel I read. He is a brilliant thriller writer and comes up with good plots. 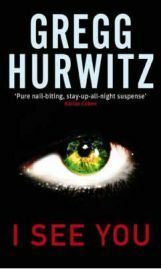 But where an author such as Harlan Coben manages to keep you gripped from start to finish and has the right amount of character development, Hurwitz tends to elaborate a little too much with things that are not really necessary in my opinion. Having said that, the actual plot was really good. What I particularly enjoyed was the twist at the end which I did not see coming. I had been thinking all along that someone other than Drew was responsible for the murders and had my suspicions, but nothing prepared me for the ending which was very surprising and a great twist. Maybe someone else might have see it coming, but I honestly had no idea and this was the best part of the book for me. From the middle of this book where the pace picks up again, to the end, I found it very difficult to put this book down. The plot deepens and the predictable directions you think the book is heading off to, suddenly change, and this becomes a true thrilling page-turner which I thoroughly enjoyed. I do think if you enjoy Harlan Coben novels and good thrillers with twists and turns, then you will enjoy Gregg Hurwitz. I am looking forward to reading more from him. No Comments on "I See You"